The Gallatin bedroom collection is a neon-traditional interpretation of furniture found in early American Heritage estates. Crafted of solid mahogany, this collection balances stout moldings with intricate details to achieve a relaxed, casual feel. The Plantation grown mahogany is enhanced with hand hewn distressing and an 11-step timeworn mahogany finish. The King and Queen mansion beds are available with under-the-bed storage options. Case pieces are built with English dovetail construction and full extension drawer glides. 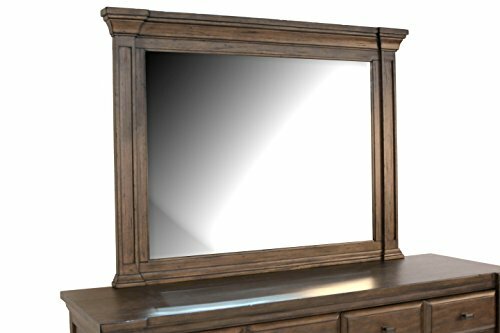 Unique features of this collection include a 3 drawer nightstand with cable management in the top drawer, retractable drawer front and cable management in the media chest for easy access, lift-top compartment with Vanity mirror in the 6 drawer chest, and a leg bench with compartment storage.